OEM Options – George Stock and Company Ltd.
Stocks Equipment and Hunter offer a range of Complete Wheel Servicing Equipment for dealer groups, including Aligners, Balancers and Tyre Changers, which meets (and exceeds) standards set by the OEMs around the world. Hunter’s BWM OEM Equipment products and systems are uniquely tailored to meet the servicing needs and specifications of BMW vehicles. The GSP97BMW Road Force Touch® BMW Wheel Balancer is designed exclusively for BMW servicing, and provides more speed than a traditional balancer. Featuring an intuitive touchscreen and patented technology like Hunter’s StraightTrak tyre pull correction and industry-leading Road Force Measurement and SmartWeight technologies, the GSP97BMW is the only BMW Wheel Balancer your shop will ever need. Hunter also offers exclusive features for BMW dealerships and popular equipment upgrades to make BMW wheel balancing even easier. 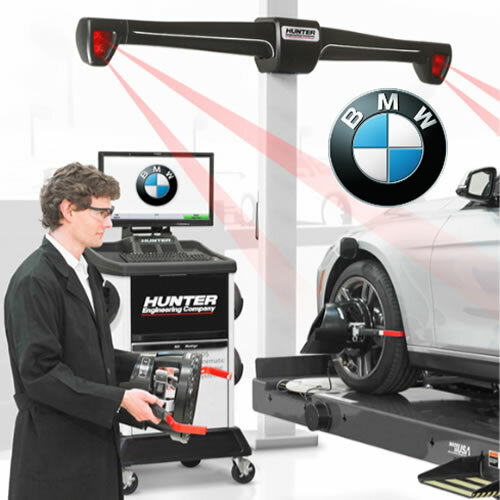 Hunter’s KDSII Wheel Alignment System is designed exclusively for BMW vehicles, offering unparalleled speed, precision, ease of use and durability. It’s extremely dependable, virtually maintenance free and gives the lowest long-term cost of ownership in the industry. The KDSII can also be customized with many BMW-specific options making it the perfect solution for BMW Wheel Alignment. Hunter offers a full line of Mercedes-authorized OEM equipment designed to meet virtually any need for workshops specialising in Mercedes-Benz. We provide Mercedes alignment solutions for both passenger & heavy duty vehicles. Our HTA-MB-TD alignment system is customized exclusively for all Mercedes-Benz vehicles, and has high-precision alignment features, customized alignment software and complete Mercedes-Benz model support. These systems utilize Hunter’s patented HawkEye technology, with sensors and consoles customizable for your Mercedes-Benz workshop. 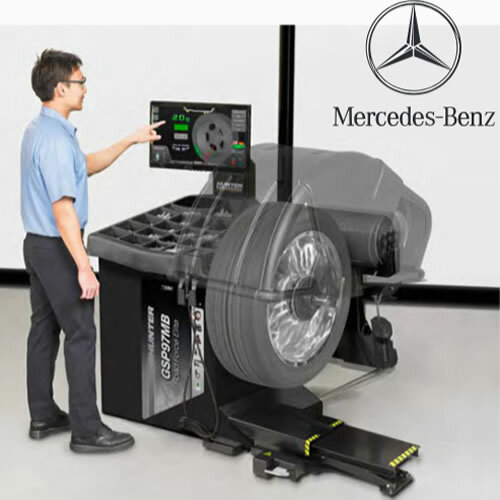 Our Mercedes-Benz HD Wheel Alignment system for Mercedes-Benz commercial vehicles exceeds new equipment requirements for Mercedes-Benz workshops, features self-centering adapters, a patented truck pusher and mobile turnplates standard. The GSP97MB Road Force Touch Mercedes Wheel Balancer, designed exclusively for Mercedes-Benz workshops, features more speed and precision than an ordinary wheel balancer. Hunter’s revolutionary Quick Check™ Inspection System for Mercedes-Benz can be configured for any shop with dozens of installation possibilities and is designed to yield a positive return by identifying repair opportunities in under 3 minutes. Shops specializing in Audi & Volkswagen alignment need unique manufacturer-approved equipment to provide customers with the right level of service for their vehicles. 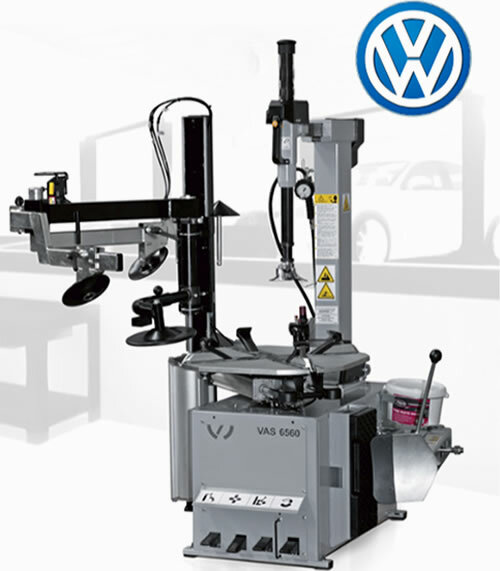 Hunter Engineering offers customized solutions with the VAS 6292 Wheel Alignment system exclusively for Audi & Volkswagen. Featuring Hunter HawkEye Elite® technology, the VAS 6292 includes customized V.A.G software, high resolution software and exclusive QuickComp technology designed to compensate all wheels and capture initial measurements all in one motion. QuickGrip™ technology allows the VAS 6292 Audi & Volkswagen alignment equipment to quickly and accurately install while avoiding expensive rim damage. The VAS 6292 equipment can also be customized to meet the unique needs of your Audi-Volkswagen Workshop. Hunter’s VAS 6230B Road Force Touch® Wheel Balancer designed exclusively for Audi-Volkswagen workshops balances faster and more accurately than a traditional wheel balancer, utilizing Hunter’s patented technology. Its easy-to-use touchscreen interface makes it simple to train new technicians quickly.